With more than 30 years of diverse legal experience, Andy helps clients address a broad spectrum of business challenges, including strategic transactions, complex litigation, protracted bankruptcy proceedings and workout scenarios. 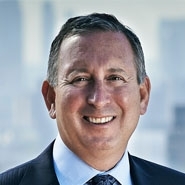 He also advises clients on complex transactions relating to the acquisition and financing of real estate assets and businesses, including preferred equity, debt and convertible debt financings; loan syndications and participations, joint venture agreements, and stock and membership interest purchase agreements. In recent years, Andy has focused his practice on real estate transactions for some of the firm's highest-profile clients, including prominent investment funds and real estate operating companies. He recently represented a global real estate investment manager in a series of transactions, including the purchase, repositioning and sale of a long-term leasehold on a $60 million Manhattan office property, the purchase of a Brooklyn ground lease to make way for a $100 million mixed-use development project, and the formation of a joint venture to develop a condominium project in Brooklyn. Andy had also represented purchasers and sellers of hotels, industrial properties and office buildings. Real estate clients value Andy's ability to see both the big-picture economics and the small-print risks underlying a transaction, a skill he honed by representing borrowers and lenders in the aftermath of the financial crisis of the late 2000s. In the Lehman Brothers collapse, he represented joint venture partners in restructuring $130 million in mortgage and mezzanine debt, encumbering 26 apartment complexes throughout the country. In a novel Chapter 11 case involving the mortgage lender for a 59-building apartment complex, Andy prevailed in obtaining pre-payment premiums, as well as default rate interest - the first such published decision in New York. He has also represented lenders and special servicers in the Chapter 11 proceeding of major New York City office buildings, including 127 John Street, 1500 Broadway, 485 Fifth Avenue and 80 Broad Street.